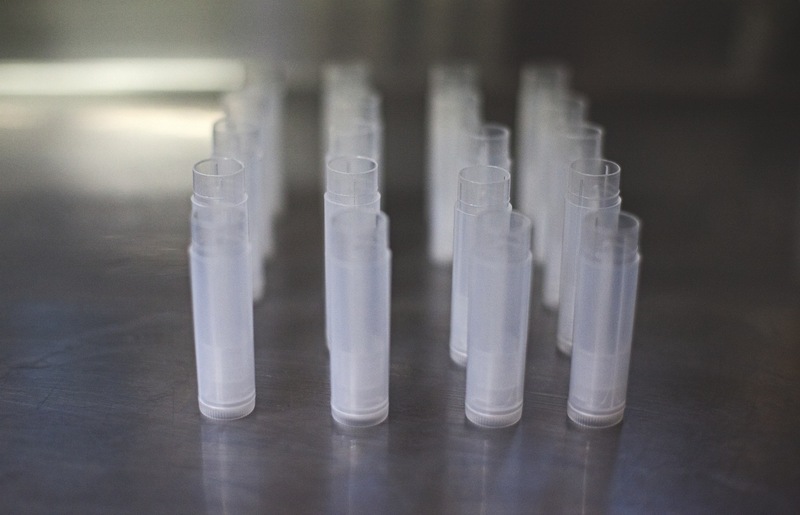 My lovely friend first introduced me to the idea of making lip balm a few months ago. When she mentioned that the recipe was identical to Burt’s Beeswax, and I was sold. We decided to save our lip balm making adventure for when we would meet up with another friend Sandra for her birthday. That ‘meet up’ happened this past weekend. 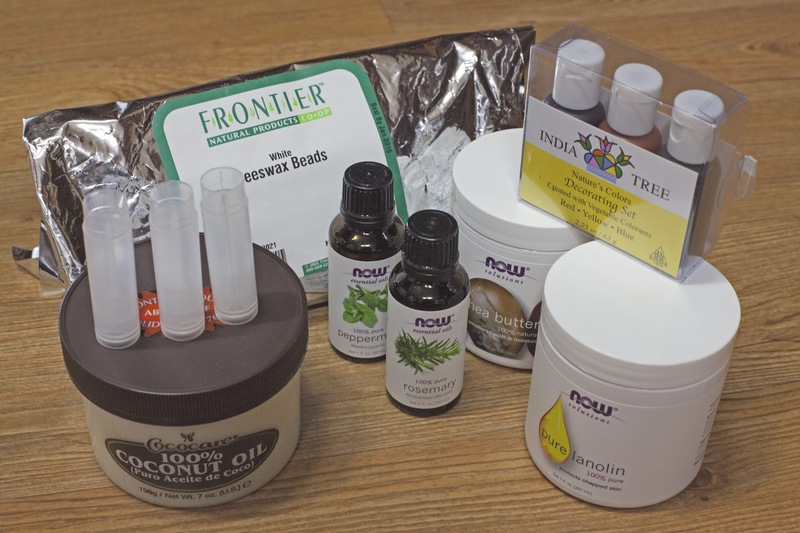 After ordering all our ingredients off of Iherb.com, and the lip balm tubes off of ebay, we were set to go. Looking back at the process…I’ll tell you, I’ve never had so much fun making something! It was a mix between a mad science project and an easy cooking recipe. 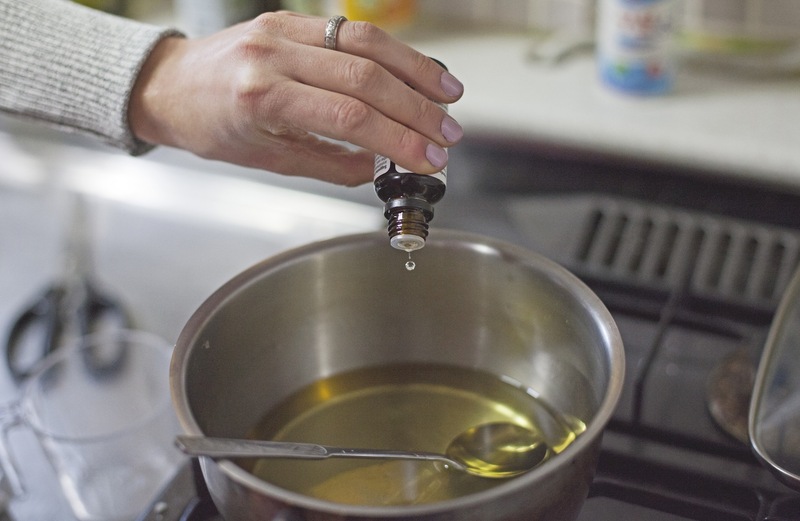 Melt the beeswax in a saucepan on very low heat. 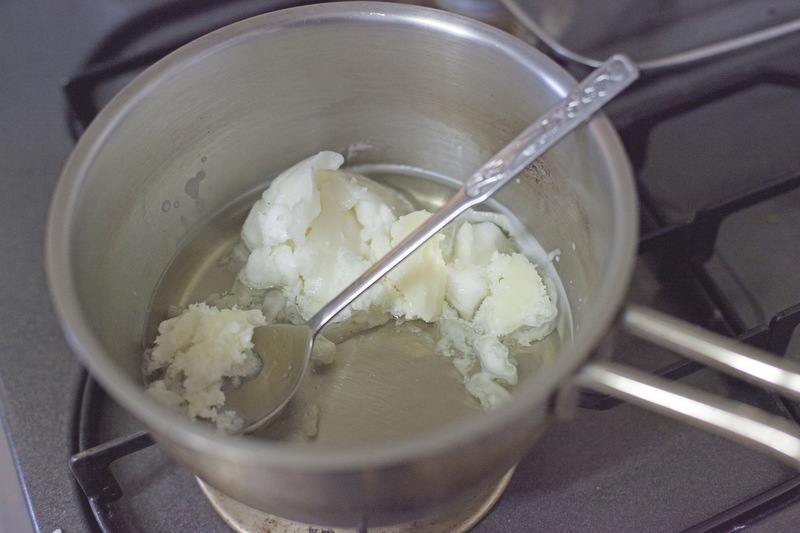 Add coconut oil, shea butter, lanolin and stir until melted. Add essential oils (peppermint and rosemary). This is when you get to test it out! Dip your finger into the mix and give it a try. If you’d like to add more peppermint for a tingly effect, go ahead. This is when you have the opportunity to separate the lip balm into different containers for different colors. I used a spouted measuring cup to pour the ‘original’ color into the clear tubes. After those are finished, start experimenting with color! 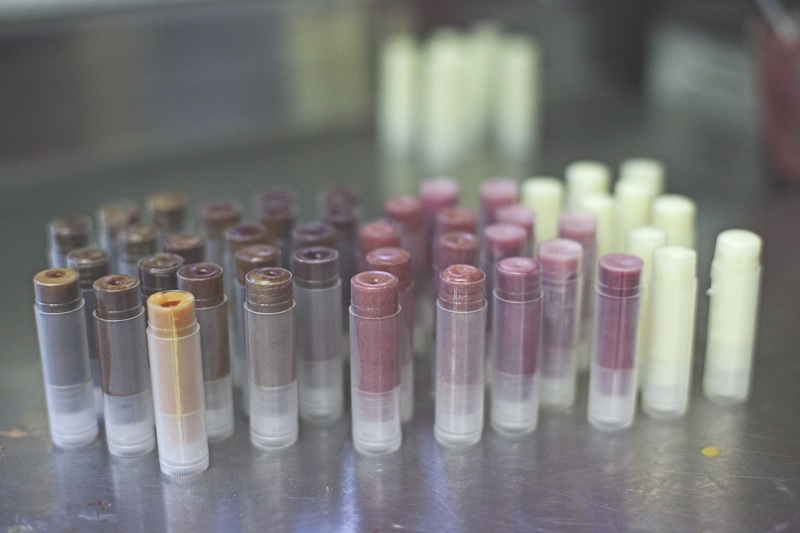 To get any sort of lip tint, we found you have to make the lip balm concoction really dark. Thankfully we didn’t mind experimenting on our own lips. 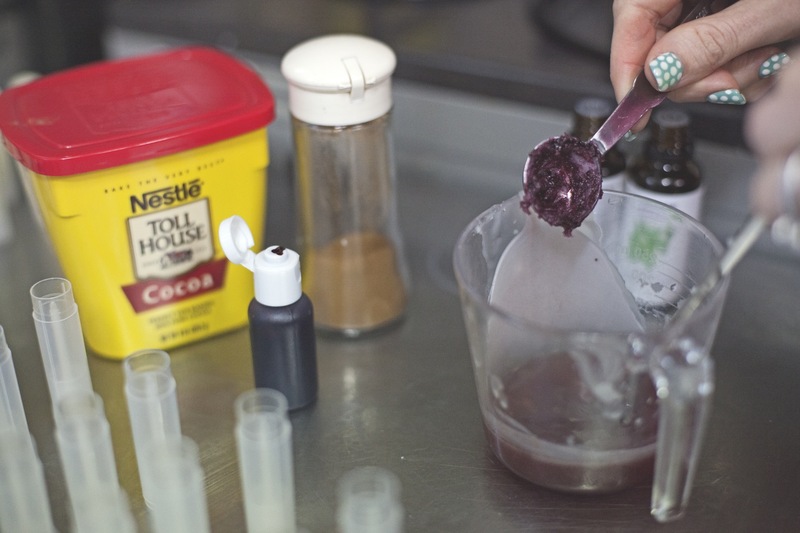 We used our natural food coloring, cocoa powder, and cinnamon to get our colors. 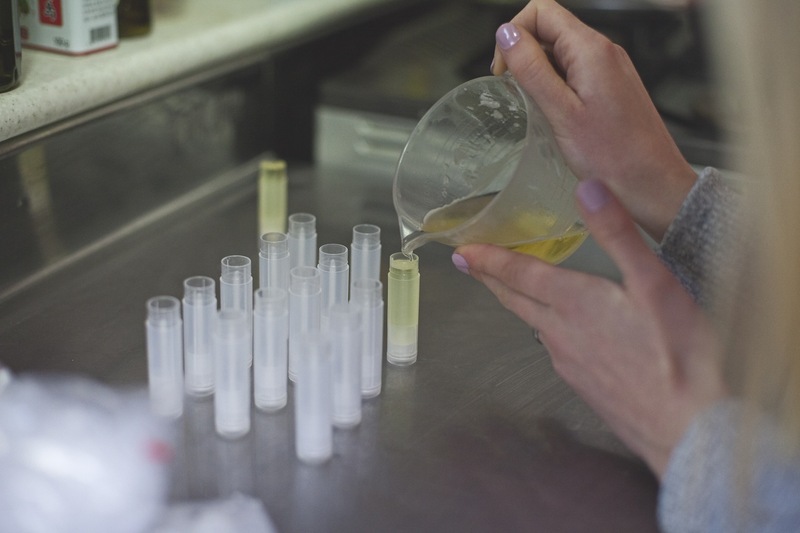 We also found that it was easier to mix the colors when the wax was in the transition stage between hard and soft. 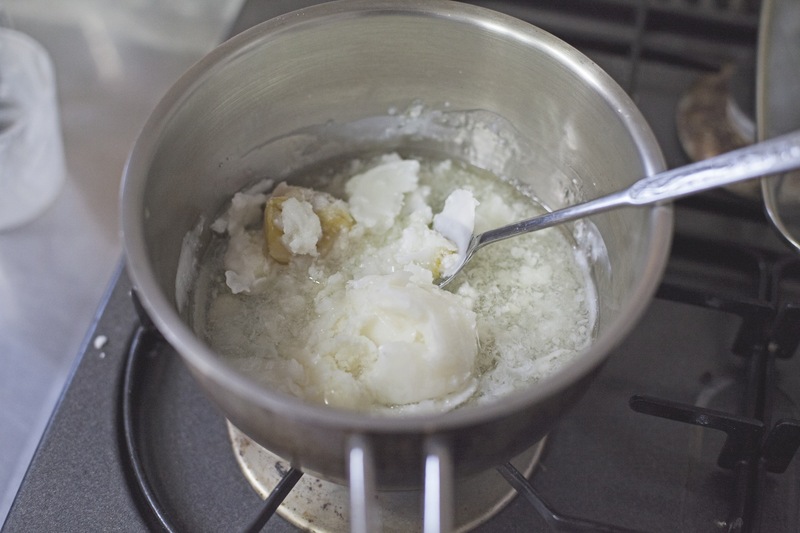 It’s very easy to reheat the wax to it’s liquid state by using a microwave. 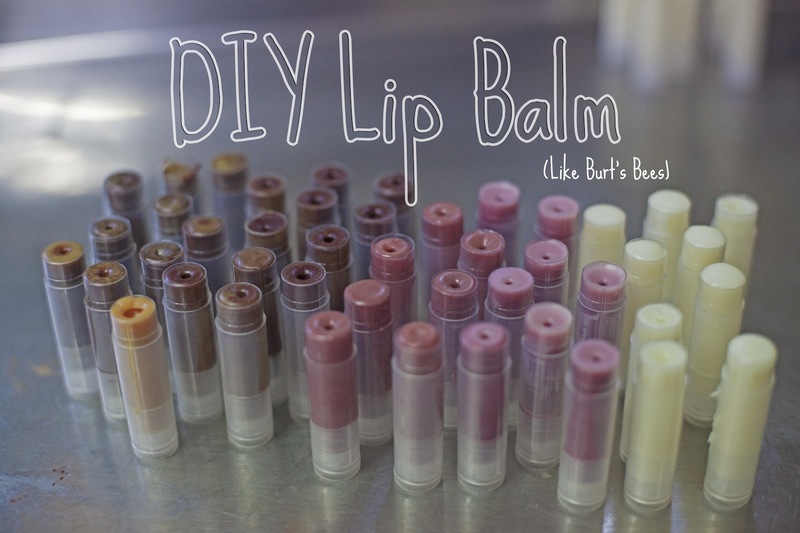 Before we knew it we had 50 tubes of spiffy, Burt’s Bees-like, lip balm! I’m pretty sure I’m set for life. How I didn’t know about this recipe before, I’m not sure. I calculated how much it would cost to make a tube. It came out to be about $0.56 cents per tube…and I’m sure in the States (with the resources available in stores and not exclusively online) it’ll be half that.